引用格式：赵婧, 刘南. (2019). miRNA-seq数据分析. Bio-101: e1010249. DOI: 10.21769/BioProtoc.1010249. How to cite: Zhao, J and Liu, N. (2019). 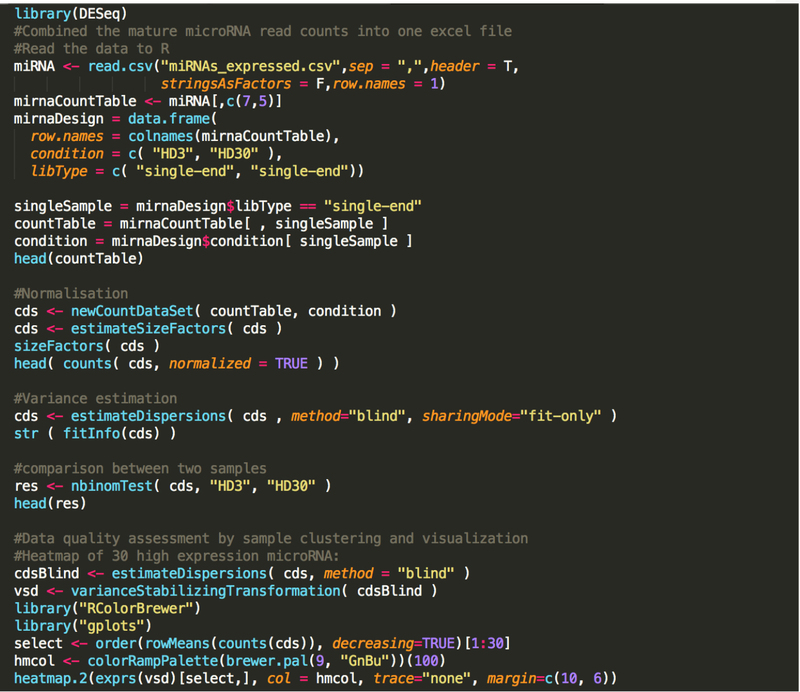 miRNA-seq Data Analysis. Bio-101: e1010249. DOI: 10.21769/BioProtoc.1010249. Anders, S. and Huber, W. (2010). Differential expression analysis for sequence count data. Genome Biol 11(10): R106. Bisgin, H., Gong, B., Wang, Y. and Tong, W. (2018). 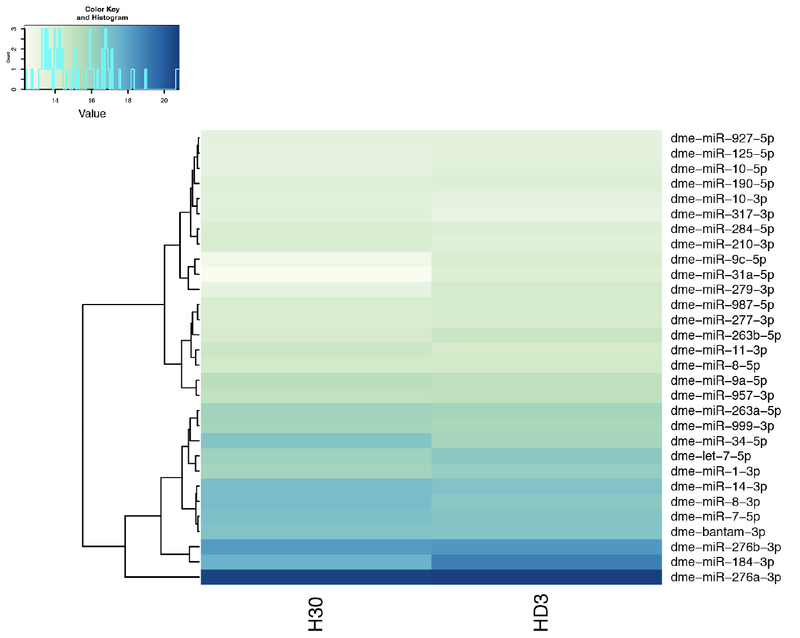 Evaluation of bioinformatics approaches for next-generation sequencing analysis of microRNAs with a toxicogenomics study design. Front Genet 9: 22. Friedlander, M. R., Mackowiak, S. D., Li, N., Chen, W. and Rajewsky, N. (2012). miRDeep2 accurately identifies known and hundreds of novel microRNA genes in seven animal clades. Nucleic Acids Res 40(1): 37-52. Shu, Z., Huang, Y. C., Palmer, W. H., Tamori, Y., Xie, G., Wang, H., Liu, N. and Deng, W. M. (2017). Systematic analysis reveals tumor-enhancing and -suppressing microRNAs in Drosophila epithelial tumors. Oncotarget 8(65): 108825-108839.